As of August, she'll be former WSU Spokane Chancellor Lisa Brown. Spokane Chancellor effective in August, the school announced today. And she may be eyeing Rep. Cathy McMorris Rodgers’ 5th District seat. “I would say that running for Congress is a possibility, but that’s a decision I’m going to make after I complete my service at WSU,” Brown says, when asked if she will pursue the seat. Spokane City Council President Ben Stuckart has already announced his candidacy for McMorris Rodgers’ seat. Brown was a Washington state senator for 16 years, representing Spokane's 3rd Legislative District. In 2005, she became the first Democratic woman to be Senate majority leader. 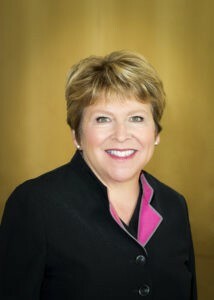 She was named WSU Spokane Chancellor late in 2012. Daryll DeWald, currently dean of the WSU College of Arts and Sciences, will take her place as chancellor, according to a Washington State University news release. "Lisa Brown has made a profound impact on Washington State University," said WSU President Kirk Schulz in a statement. "Her unflagging efforts to advance the vision of a second public medical school in our state mean that all Washingtonians can look forward to a brighter health care future." Since taking over as chancellor, Brown has overseen a period of growth for the WSU Spokane campus marked by the successful effort to create a new medical school in Spokane. She worked with former WSU President Elson S. Floyd to accomplish that goal, and last year the medical school received accreditation and was named after the late president. The first class of students is set to start in the fall. In 2013, the science faculty and administration moved into the new Pharmaceutical and Biomedical Sciences building on Spokane's campus. Brown helped create the Spokane Teaching Health Clinic, which serves as a training site for physicians, on campus in an effort to bring medical residents to the area. As the city constructs the University District Gateway Pedestrian Bridge, more development has come to the U District and the area surrounding it, south of the train tracks on East Sprague. Brown says she’s also proud of the research infrastructure that has been added to the WSU Spokane campus, and says during the time she’s been there WSU Spokane has doubled its amount in research grants. DeWald became dean of the former College of Sciences at WSU in 2011. The WSU press release describes him as an "experienced academic leader and professor" who has published research in cell biology and biochemistry. He says he's looking forward to continuing to build on Brown's work in the health sciences program. "I am honored to be joining WSU Spokane and the Spokane community, and to have the opportunity to continue Chancellor Brown's excellent work," DeWald said in a statement. Brown says she won’t make a final decision on running for Congress until the first round of 60 medical students arrive 100 days from now, in August. She says she feels good about DeWald taking her place.